Firefighters Movers Prosper TX | Moving and storage - MoveStar Inc.
Prosper is one of the most affluent suburban towns in the counties of Collin and Denton within Texas, state, United States. Located in the Dallas-Fort Worth metropolitan region, it was named as the fifth best suburbs in the Dallas Metropolitan Area in the D Magazine 2010. With a population of around 22,000 people, Prosper is a rapidly developing city that also offers the peace and beauty of a town. 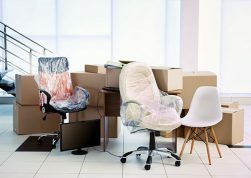 So, if you are interested in shifting base to this city from the Texas state for work or even as a destination after retirement, you must hire the best moving companies around to ensure tension-free and smooth moving. 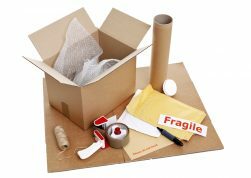 Our moving company is owned as well as operated by the best Dallas Fire and Rescue firefighters who know how to take care of your possessions like no one else and hence safety of all your things is guaranteed. Our experienced firefighters movers make sure that the transition for long distance as well as local relocation is stress-free and smooth for all our customers because customer satisfaction tops the list of our priorities. We are one of the few local fireman movers offering complimentary services including refinishing and restoration of furniture and long-term storage facilities in and around Prosper. MoveStar provides you with a customized deal that covers all the requirements that are an integral part of the residential as well as commercial moving. We make sure that our firemen movers include secure, heated as well as air-conditioned facilities of storage with rack storage or vault so that all your things are maintained in ideal conditions as per their requirement. You can even expect our off duty firemen movers to drop at your place to discuss the moving options and plan. Prosper is a growing suburban area and you would surely like to make a hassle-free and smooth entry into the city. Give us a call to learn more about our customized and specialized moving deals right now!